Perusing beautiful art is one of my favorite downtime hobbies. Art inspires my writing because I see the art of writing a short story as being comparable to the art of painting a picture. Writing a novel is painting a word-mural. I study the way talented artists convey an entire story with one image. The nearest art museum is many miles away, in Tacoma or Seattle, so my local museum is Wikimedia Commons, a great resource for researching art, both modern and classic. Using the internet offers me the ability to get as close as I want, and also to discover something about the artists’ lives. When we want to convey ideas, we consider impressionism. According to the Fount of all Knowledge, Wikipedia, Impressionism is a 19th-century art movement. Impressionist painting characteristics include relatively small, thin, yet visible brush strokes, open composition, emphasis on accurate depiction of light in its changing qualities (often accentuating the effects of the passage of time), ordinary subject matter, inclusion of movement as a crucial element of human perception and experience, and unusual visual angles. I love examining the work of the early 20th century American artist, Paul Cornoyer, and also the works of the 16th century dynasty of artists, Pieter Bruegel, and his family. Cornoyer’s work is quite intriguing, and much of it is done in an impressionistic style. But what is it about impressionism in painting that so inspires my writing? The artist doesn’t give you the minute details–they give you what they saw including the mood of the piece. Impressionism is flash fiction on a canvas. All the important things are there, everything the eye needs to have a perfect vision of the mood, the setting, and characters at that moment in time. The important things at that moment are depicted within the piece, but with economy. The same holds true for micro-fictions: When you limit yourself to expressing the complete idea of the story in less than 300 words, you discover just how well (or how badly) you can write. 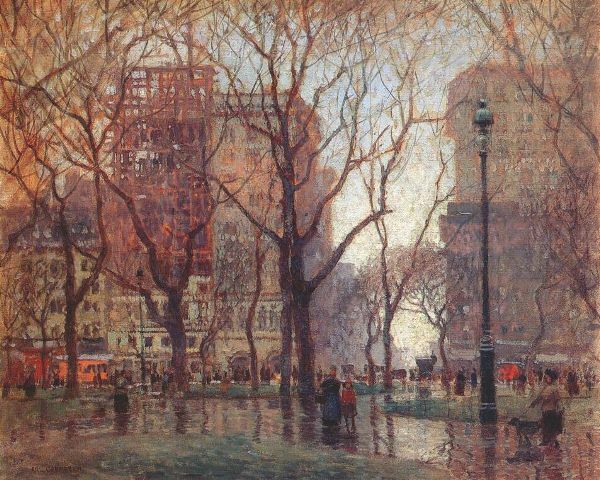 I love Cornoyer’s The Plaza After Rain because, even though it depicts New York City in a different time, it shows the way rain is in the springtime. The sky is dark, but the trees are just beginning to leaf out. The streets are wet with rain, but a hint of blue is showing through the dark sky. When you see this painting, you know it’s a cold, rainy spring day, but sunshine could happen any minute. I admire authors who can create an entire story in 3 paragraphs. It is truly an art. Sometimes I do well at it, and sometimes not so much. Still, it is important to practice writing flash fiction and micro fiction–this is how you exercise your writing muscles. By saving each short burst of random creativity separately in a clearly labeled file, you will have a well of ideas to draw on when your inner genius is on holiday. So, now we come to Realism, both in writing and in art. When it comes to writing longer works, sometimes the details are important. Writing, even writing fantasy, involves a certain amount of reality checking. There are times when you need to know how things actually worked. We write stories for the public, people we haven’t met. These are readers with knowledge and life experiences we authors aren’t aware of. We should assume they understand what we are writing about. With that in mind, if we don’t do the proper research, the reader will know we have gone off the rails and into the realm of impossibility. At that point, the reader won’t be able to suspend their disbelief, and we will have lost them. Any time you want an idea of average European village life in the Late Middle Ages through the 17th century, you need look no further than Wikimedia Commons. There, under the heading Category: Painters from the Northern Netherlands (before 1830) you will find the brilliant works of the Dutch Masters. These were artists living in what is now The Netherlands, and who were creating accurate records of the everyday life of the common people, along with stylized religious images. They painted their subjects with a heavy dose of religious allegory, but that was a part of village life–both the Inquisition and the Reformation were under way, and the politics of religion was in the very air they breathed. If you are going to write about the Middle Ages, you must understand how strong the influence of the Church was and how entangled it was in politics. You must understand how the Church and its politics affected the common person’s life. I especially love the work of a particular family of early Dutch painters from Flanders, the Brueghel Family. 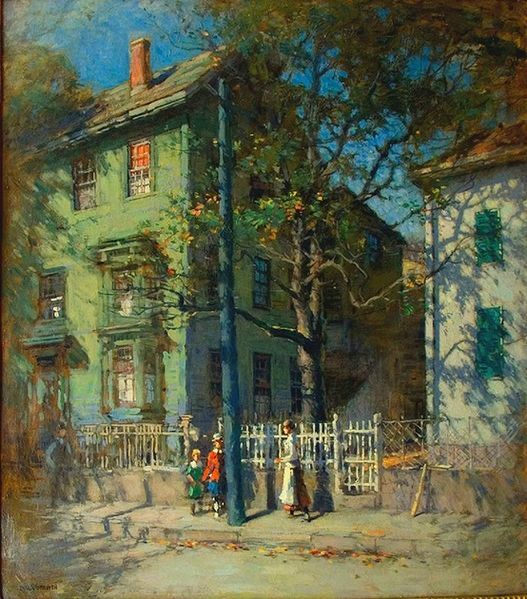 Five generations of their family were well-known painters and printmakers. 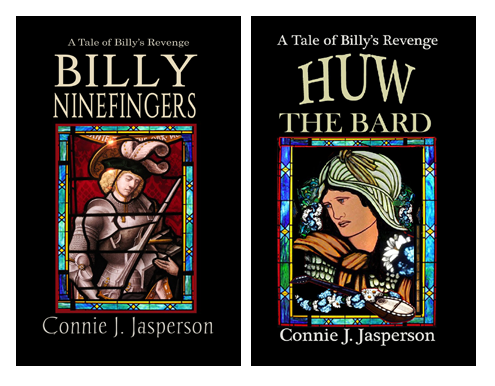 I love the art of any time-period, especially that depicting the lives of ordinary people. I find the small details intriguing. It shows us that in many ways we are not that different than they were. We want food, decent shelter, and of course, stylish clothes to attract a mate. Impressionism and realism are not just terms for paintings. They are two components we authors must combine to create our word pictures. Knowing when to share the details and when to offer impressions is a balancing act. Read the authors whose works inspire you and see what tricks they employed to fire your imagination. I suspect you will find they alternate using impressionism and realism, blending the two seamlessly, so you were never thrown out of the story. Wikipedia contributors, “Impressionism,” Wikipedia, The Free Encyclopedia, https://en.wikipedia.org/w/index.php?title=Impressionism&oldid=779459401 (accessed May 14, 2017). 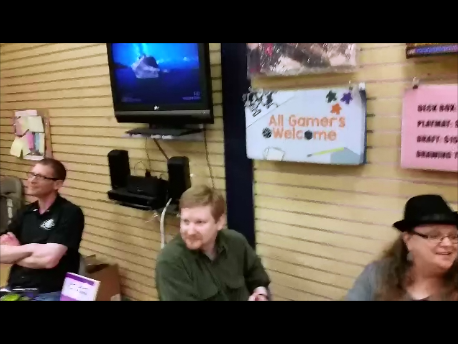 The signing at Forever Knight Games in Olympia went well. I met several wonderful authors I hadn’t had a chance to meet in person: Sechin Tower, Jolene Loraine, Rachel E. Robinson (Maquel A. Jacob), and Erik Kort. We were joined my my good friends, authors Lee French, Lindsay Schopfer, and Jeffrey Cook. 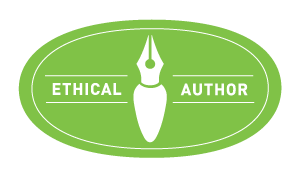 These wonderful people write great books, and I was privileged to be counted among them! We had a great time, and it was a good first event at that venue. I want to thank all my friends for coming out and meeting my favorite local authors. Tower of Bones was my big seller–which makes me happy. But then, after the big party was over (and it was a party–believe me) I had to drag myself back to reality. As I said the other day, sometimes my head isn’t in the right place for reading. At the event this last weekend, a friend asked me how that inability to read without the editor in my head making noise affects my ability to write. I had to answer that it does affect it to a certain extent. The reason being in an editing frame of mind affects my writing is that while I am creative, it is like my creativity has to go through a maze to get to the ends of my fingers and into written form. I do a lot of things to jumpstart that creativity. I clean things I don’t really care about under normal circumstances. Something about a really orderly environment gets my mind relaxed enough to work properly. Sometimes I write flash-fiction, 100 to 1000 word short stories. I find great art that really makes my mind click–Wikimedia Commons is awesome for that. Today I came across a download of a picture that, two years ago, sparked a 250 word flash-fiction. 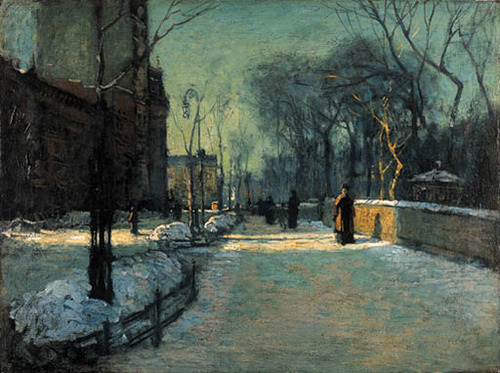 That image, which I will get to later, was painted around the year 1910 by an American artist, Paul Cornoyer. His work is quite intriguing, and much of is done in an impressionistic style. According to the Fount of all Knowledge, Wikipedia, Impressionism is a 19th-century art movement. Impressionist painting characteristics include relatively small, thin, yet visible brush strokes, open composition, emphasis on accurate depiction of light in its changing qualities (often accentuating the effects of the passage of time), ordinary subject matter, inclusion of movement as a crucial element of human perception and experience, and unusual visual angles. The thing about the impressionists that so inspires my writing is that they don’t give you all the details–they give you what they saw including the mood of the piece. It is called The Plaza After Rain. 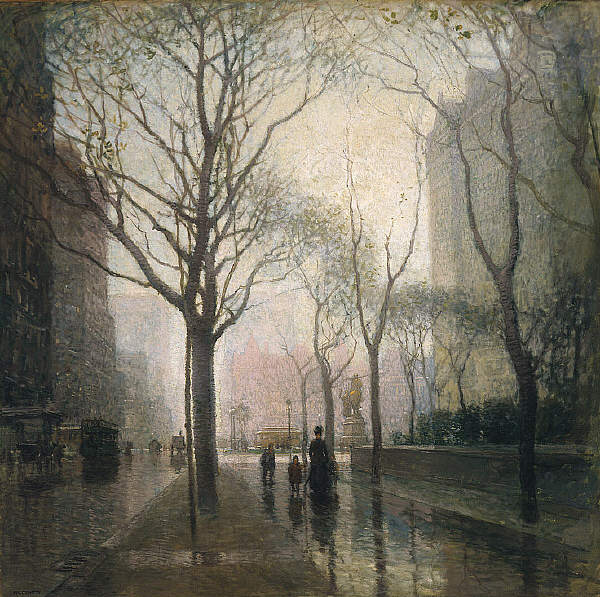 I love it because, even though it depicts New York City in a different time, it shows the way rain is in the springtime. The sky is dark, but the trees are just beginning to leaf out. The streets are wet with rain, but a hint of blue is showing through the dark sky. When you see this painting, you feel like sunshine could happen any minute. That is what we try to convey in flash fiction, and that is why it’s so important to practice writing in short, complete bursts. You never know when one will become a longer tale, so you will have a backlog of fodder to fuel your creativity when you need a good story idea. Being able to create an entire story in 3 paragraphs is an art. Sometimes I can do well at that, and sometimes not so much.